Upcoming Leave Management Improvements will go live on Sept 5th, 2017. Major improvements are coming to our Leave module that is substantial and will add a high level of customization and personalization to your leave management experience. 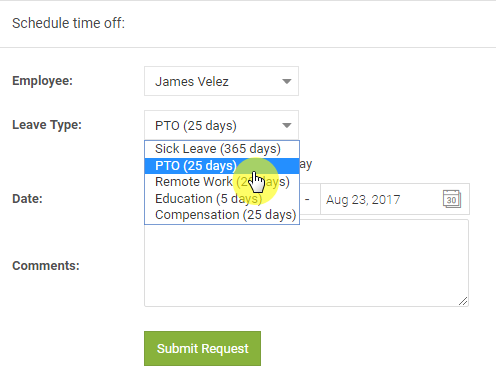 Managers can set entitled number of days for each leave type: Go to the tab Settings - > Leave & Availability and set the value for the field ‘Entitled number of days’. Managers can assign leave types per employee: Employee profile now has now new tab ‘Leave’ under which you can enable/disable leave types for which employee can submit a request. You can also set employee’s individual leave balance. Go to the tab Staff - > select employee profile - > Leave. Deduct approved Full Day Unavailability from Leave days. By default, when employees request leave days, any approved unavailable days are not excluded from the number of requested days. 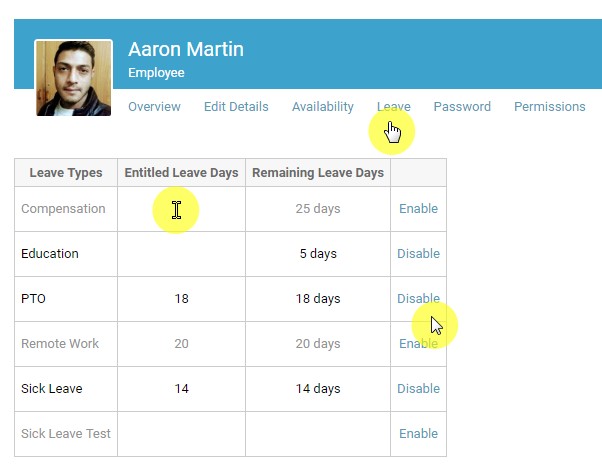 With new improvements, managers will have the option to include/exclude the Unavailable days. The global setting, under the Leave & Vacation settings ‘Max number of leave days per year that a staff member is allowed to request’ has been deprecated. When these changes go live, this global setting value will be inherited by all the Leave types balances. Please go to the tab Settings - > Leave & Availability -> review & set the field ‘Entitled number of days’ for each leave type as per your company preferences. Employee’s individual setting for ‘Max number of vacation days per year’ has been moved from ‘Edit Details’ section of the profile to new section ‘Leave’ under employee profile. If this individual setting was set for any of your employees, ‘Entitled Leave Days’ column under Leave section will inherit this for all leave types at the time changes go live. Review & set this value for all the leave types as per your preference. Please feel free to reach us at support@humanity.com for any questions/concerns or feedback. Happy Scheduling!